Apps!!!!! Apps!!!! !The world technology sounds like this now-a-days. The mobile app technology has changed the laptop era to the smaller device era. A mobile was generally used just for incoming and outgoing of calls. Slowly and gradually many features have been added to make it work just the same as the Laptop. Your pocketsize computer i.e. the smartphone serves you with all the wishes you desire. 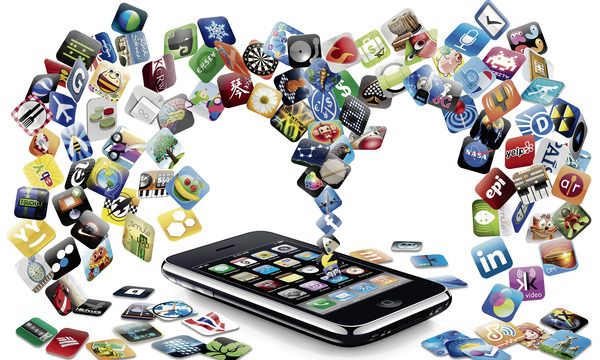 May it be the ten year old child or an experienced entrepreneur, the app technology is beneficial to all of them. Gaming, social networking, and guidance for hobbies, all in one on any teenager’s smartphone and the output are nothing but customer satisfaction. Entrepreneurs or the decision makers also take the massive advantage of smartphone by using these apps and serve their business an efficient business tool. Winjit with its expertise on mobile application development front is working on all major mobile platforms such iOS, Android, Windows Phone 8. The below is the analysis done which gives you the complete idea of the changing of laptop era to the smartphone era. The apps are built for banking purpose, instant services for emergency services for fire safety, health care, and police control room around their nearest place. Mobile is just the aluminum body with apps. App is the brain of the aluminum body and Winjit is contributing for this development. Winjit has come up with an idea of Winjit Enterprise Mobility Framework (WEMF) using which the products such as Catalogue Solution, Survey Solution, iNotify, iAgenda, Bizlytics and many more. Winjit’s dedicated work will always add value to the mobile app technology in this long run. A lot more from Winjit’s side is there to come in future. So, stay tuned.